A simple way to relax after a long day at work is to immerse your feet in warm water. You will feel a lot better by soaking your feet in hot water even without adding anything extra to it. You should consider a foot-soak also because it hydrates your skin, soothes your muscles, and relieves your aches and pains. Moreover, you can soak your feet in a saline solution to reduce swelling and lower your chances of developing a bacterial infection in cuts, blisters, and under toenails. It makes great sense to enjoy a foot-soak before going to bed at night. You can improve kidney energy by soaking your feet around 9pm – studies show that the kidney energy is at its lowest around this time. By soaking your feet, you can dilate your blood vessel and promote blood circulation throughout the body. This lowers fatigue and works to relax your whole body. You can also massage feet, especially the acupoint Yong Quan (KI 1) for a few minutes to regulate the kidney energy. Go straight to bed after the massage and you will fall asleep with ease. You can soak your feet in the morning to recharge your batteries. It is possible to feel tired after full night's sleep because your sleeping position can affect your blood circulation. Soaking your feet in the morning helps improve your blood circulation and at the same time regulates the endocrine system in a short way. It also boosts your nervous system and gets you ready for the busy day ahead. Simply by adding black pepper, cinnamon twigs, and Hong Hua in water, you can turn your foot-soak into a perfect remedy for your arthritis pain. Moreover, you can add fresh ginger root to lower your risk of getting the common cold. While there are benefits of soaking feet with hot water, you may be wondering about the ideal length of time to keep your feet immersed in water. First, ensure that the water is not too hot or too cold – anything around 100F is usually good. At this temperature, you should soak your feet for 20-30 minutes only. To ensure the water stays warm enough for this long, you will be better off using a wooden bucket. A metal bucket is also an option but it gets cool quickly. The bucket/tub should be deep enough to cover your ankles too. Soaking feet in hot water offers a variety of benefit, but there are certain situations when you may want to avoid it. You should avoid it if you have a cardiac problem, such as low blood pressure or angina. If you continue to soak your feet with these conditions, you may feel lightheaded and even faint while soaking. Similarly, you may want to avoid it if you have diabetes – even warm water can burn your skin if you are a diabetic. Moreover, it is better to avoid soaking your feet when you have eaten too much or are feeling very hungry. You can add Epsom salt to the tub and then soak your feet in it to reduce inflammation, improve circulation and ease muscle cramps quickly. Epsom salt is a combination of sulfate and magnesium, which is the reason why it also helps reduce swelling and ease joint pain. Your body releases pain-reducing ions when your feet absorb the magnesium. This in turn relaxes your nerves and improves the function of your muscles. Similarly, the sulfate helps eliminate toxins from your body. Soaking your feet in Epsom salt is also useful for people concerned about foot odor. Moreover, this also helps eliminate fungal infection and heal ingrown nails. 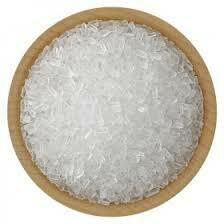 Your dry skin will also feel better after an Epsom salt soak. So, take a standard size tub, fill it up with warm water, add a cup of Epsom salt to it, and soak your feet in this solution for 10-15 minutes to enjoy amazing benefits. Cedar Wood Oil: Thanks to its antifungal and antiseptic properties, it works great to treat Athlete's foot and other infections. Cypress Oil: It is a natural deodorant and has antiseptic properties that make it effective against blisters and food odor. Juniper Berry Oil: Add a few drops to your soak to relieve muscle aches and arthritis pain. Lavender Oil: Include some lavender oil to your soak and you have a natural pain reliving remedy ready for you. Rosemary Oil: It has antiseptic properties and helps soothe tired muscles. Wintergreen Oil: It is nature's aspirin and has potent pain-relieving properties. It also reduces selling. When soaking feet in hot water with essential oil, consider adding a teaspoon of vegetable oil or whole milk to the water to make it more effective. Soak your feet for at least 10-15 minutes and do not leave your feet wet after you have finished soaking them.